Recently, I read an article in The Week regarding the possibility of finding conditions favorable for life forms on other planets and was startled when I discovered astrophysicist Stephen Hawking's viewpoint about looking for these life forms. The startling statement was that Hawking believes any signals we send out could cause a visit from a far superior alien civilization intent on either destroying or colonizing planet earth. 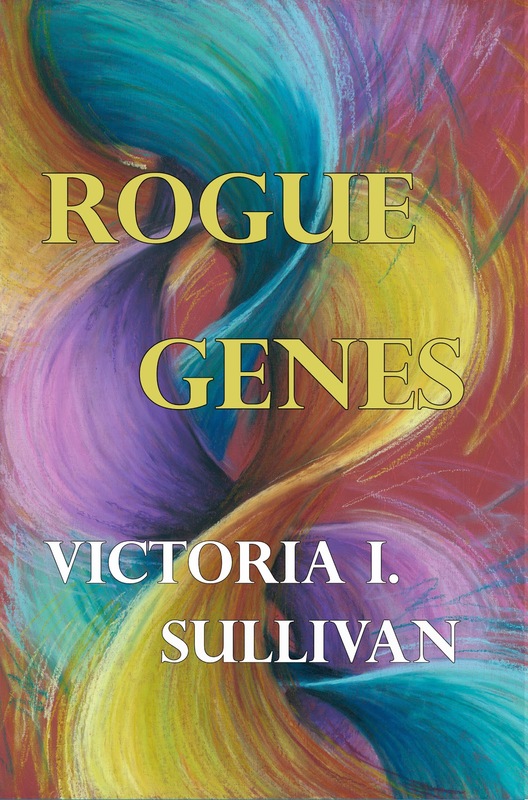 The article reminded me of passages in Victoria Sullivan's new speculative fiction book, Rogue Genes, a sequel to Adoption. Both books concern a species of scientifically engineered humans called "polyploids" who have multiple sets of chromosomes, which endow them with large size, phenomenal strength, and superior intelligence. The polyploid characters become mature adults by the age of six and are eventually banished to a reservation in a community called "Polysomia." They receive no respect from diploids (ordinary human beings with only two sets of chromosomes), are declared to be another species, and denied rights of ordinary humans because of their conspicuous differences. "Mary lay awake a long time dreaming of a just world that accepted polyploids. Perhaps separation was the only way. The British, Americans, and Europeans had separated themselves from the native peoples in colonial Africa and other parts of the world. The colonizing Americans made no attempt to merge cultures. Native Americans were severely oppressed and required to give up their culture, religion, land, and mores in order to survive. And still they were treated as second-class citizens and when they fought back they were isolated on reservations. After generations, surviving natives began mimicking the attitudes of the colonizers by despising their native ways. "Fighting for your people was age-old. Either you suited up and did what you needed to do or you died out or died inside from depression or addiction like some American Indian tribesmen had done and still do. For American Indians, the option to interbreed with whites had led to their extinction as separate cultures. That wasn't an option for polys..."
Sullivan, a biologist, has posed similar questions to those of Hawking in this fascinating speculative fiction, and readers who enjoyed Adoption will find an action-packed read in Rogue Genes that redefines a world which has touted itself as "inclusive." Available at http://www.amazon.com/Rogue-Genes-Victoria-I-Sullivan-ebook/dp/B00OARFVLC or order from Border Press Books (http://www.borderpressbooks.com), PO Box 3124, Sewanee TN 37375. During a recent visit with Helen and Rose Anne Raphael in their home here in New Iberia, I learned that "The Berry," as we often refer to New Iberia, Louisiana, would celebrate a "Blue Magic" Christmas. Main Street would be "going blue," a color honoring deceased "Blue Dog" artist and native son, George Rodrigue, followed by a "Blue Dog Comes Home" exhibit at the Bayou Teche Museum, Jan.15-April 11, 2015. 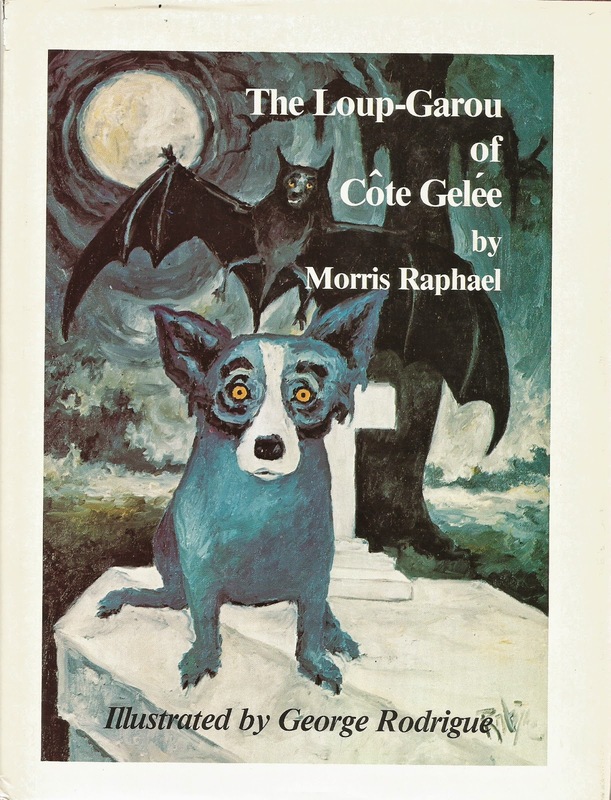 In anticipation of the exhibit, Rose Anne is reprinting The Loup-Garou of Cote Gelee, her deceased father's children's book that features some of Rodrigue's Blue Dog illustrations. Morris Raphael, her father, published this book in 1990, and it has been a steady seller since that time. The Loup-Garou is one of many books about Teche country and Louisiana that Raphael wrote during his long and productive life. The story involves Ti-Maurice Mouton, an eleven-year old boy, who encounters a Loup-Garou (werewolf) named Jacques. The story is set in bayou country, 1859, and revolves around the fictional Moutons who struggle through drought, thievery, and the threat of losing their small farm. Jacques appears to Ti-Maurice in a cemetery on a moonlit night and becomes friends with the young boy. In 45 pages, Raphael weaves a story about bandits who attack the Mouton family, a confrontation with a pack of Loup-Garous, and a shoot-out that ends with the Loup-Garou becoming a watch dog for Ti-Maurice. I interviewed artist and illustrator George Rodrigue twice back in the 90's—once for an article in Acadiana Lifestyle, and, again, for a book that Rodrigue had been commissioned to write for Harper and Row. My job for the latter project was to interview and record enough narrative that Rodrigue could use for his book, and most of it centered on questions concerning his relationship with the Blue Dog, which he felt was a mystical one. He used the dog in the foreground of most of his pictures after the dog died and insisted that they continued a relationship even after Tiffany died. He seriously believed that the dog was attempting to return to his rightful place as a family member. I still have the manuscript for which Rodrigue paid me a handsome sum, but Harper and Row wanted a fantasy tale featuring the dog, rather than the story of Rodrigue and his relationship with the dog, and the interview was never published. For those readers who don't know about Loup-Garous, in French the name means "werewolf," a mythical figure in legends told in France, French-speaking Canada, and in French Louisiana. Legends feature werewolves as living persons who have the power to change themselves into terrible beasts that consume human flesh. Some legends feature werewolves as witches who take the form of wolves so they can better roam the countryside terrorizing people. Cajun storytellers often relate that Loup-Garous ride the backs of giant bats when they travel from place to place. Morris Raphael was a native of Natchez, Mississippi who became editor of the Franklin Banner-Tribune in Franklin, Louisiana, and worked as a project engineer for several engineering firms in the U.S. and Brazil. He loved history and Louisiana and was a past president of the Attakapas Historical Association, the Iberia Cultural Resources Association, served on the council of the Shadows on the Teche in New Iberia, on the board of St. Mary Chapter of Louisiana Landmarks, and was a member of the Louisiana Historical Association and the National Trust for Historic Preservation. His credits also include an award from the United Daughters of the Confederacy in recognition of his historical works and induction into the Second Wind Hall of Fame. George Rodrigue, a native of New Iberia, was an internationally known artist with studios in New Orleans and Carmel, California. He received a gold medal award for outstanding creativity in Italy, and an honorary medal at the Le Salon Art exhibition in France. His paintings still sell in the six figure range, and he was received by both President Reagan and George H.W. Bush when he presented portraits of them painted during their tenures. The Blue Dog appears in the foreground of many of Rodrigue's paintings and was regarded as a talisman of good fortune for the artist. The Blue Dog celebration is sponsored by the New Iberia Downtown Business Association and the George Rodrigue Foundation. Copies of The Loup-Garou of Cote Gelee will be available in New Iberia and online within the next few months. 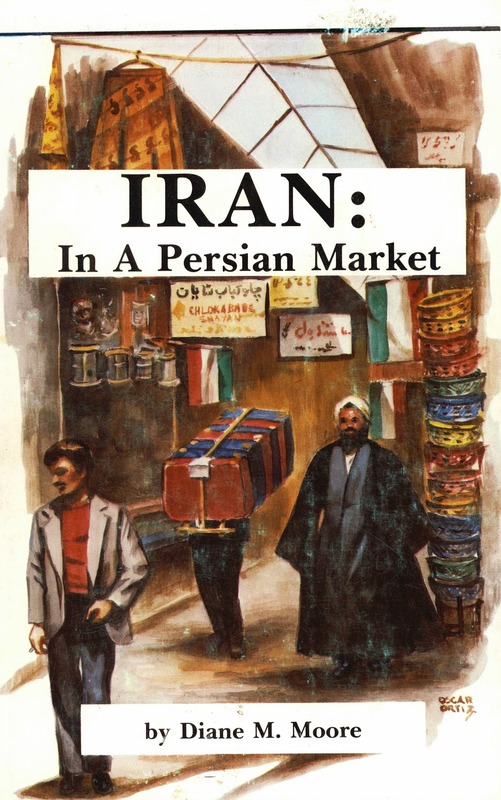 This morning, Victoria Sullivan, publisher of Border Press, and I were discussing a re-issue of my first book entitled Iran In A Persian Market. 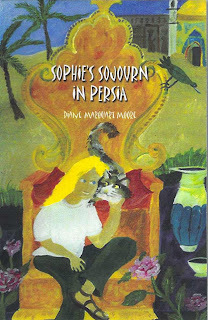 I began to reminisce about the flight to Tehran from London that my daughters and I made when we joined my husband who worked as a petroleum engineer with the National Iranian Oil Company in Ahwaz, Iran. "We boarded the plane and took off... It was evening, but the sky was blue, blue, with hardly any clouds in it. I looked down at the soldiers still standing on the airfield with their hands on the machine guns and wondered if we'd get the same kind of welcome in Tehran..."
At the time of the incident I accepted that explanation for being herded off the plane because the Israelis wanted us to shop at the duty-free stores; it was a reassuring thought for me and my young daughters, and this morning I continued to relate the experience as if all had been well during the time we spent in the airport. A few hours later, when I researched the Israeli-Palestinian situation of 1973-74, I was shocked to discover that in September of 1974, fifteen months after our encounter in Tel Aviv, a TWA jet with 88 passengers traveling from Tel Aviv to Athens, crashed into the Ionian Sea after Palestinian militants detonated a bomb hidden in the luggage compartment. The crash killed all the passengers and crew members aboard!! Forty-one years later, I stand guilty of "ignorance is bliss," since heretofore I believed that the investigation of the plane was a ploy to stimulate interest in duty-free goods. In any case, during the first three months in Iran when I experienced cultural shock, I avoided reading or talking about political incidents that resulted in severe consequences anywhere in the Mideast and buried the memory until I returned Stateside. I then recorded the cause of the Tel Aviv incident the way a fellow passenger had explained it when we finally resumed the journey to Tehran. The delay in Tel Aviv caused us to arrive at midnight at Mehrabad Airport and to experience another uneasy introduction to our sojourn in the Mideast. However, I did overcome cultural shock and have written three books about our two-year stay in Iran, the last one being The Holy Present and Farda, a book of poetry recording the more fascinating aspects of this Mideastern culture and its history. 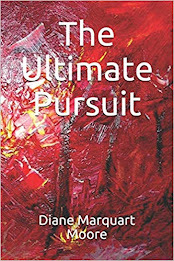 And having written that arresting title, I hesitate to continue writing as the reader may be anticipating a new or different approach to the problems that surround us every day. Recently, we were traveling back to New Iberia following a few days' stay in central Florida, and on the 14-hour trek, we turned on a Daily Evolver podcast by Jeff Salzman of Integral Life. It was a brief broadcast, and the speaker concluded with a few words that most major religions talk about: the answer to healing the hole in the heart of humanity is love. He expressed his ideas much as the French Jesuit mystic Teilhard de Chardin had—in a provisional, experimental, and post-modern form which is open-ended and creative, and he touted a theology of healing and reconciliation centered on the act of love. 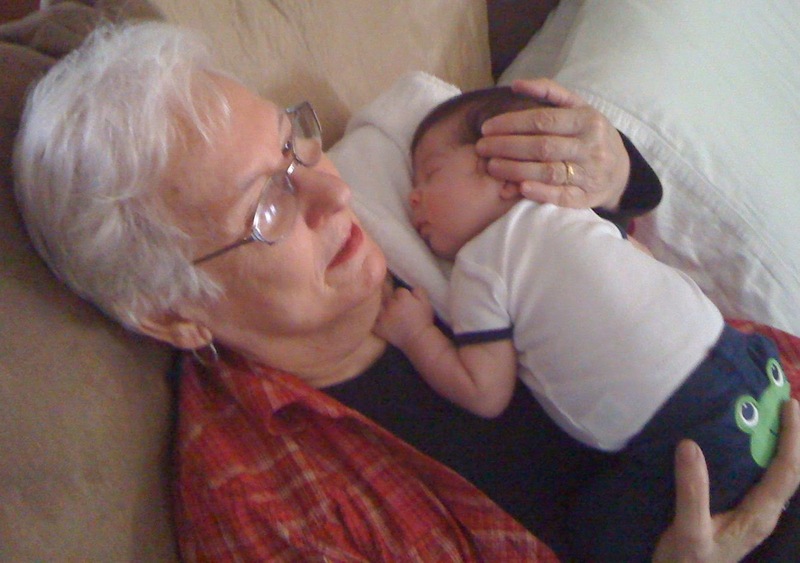 This sounds like an oversimplification, I know, but I nodded my head in agreement as I had just preached a sermon at St. Mary's Convent church two weeks preceding our trip to Florida in which I cited an example of how babies are helping to change the world and foster love through an amazing program called "Roots of Empathy." In the November issue of Science of Mind, the author wrote an article entitled "Changing the World Child by Child," reporting how Canadian and American babies are involved in a program that has a mission of building caring, peaceful, and civil societies though the development of empathy in children. In the program, mothers bring their babies into classrooms nine times over the course of a school year so students can learn to sense the emotions babies are feeling. The children also observe the loving relationship between parent and baby and see how the parent responds to the baby's needs. This attachment between a baby and a parent is an ideal model of love and empathy. In short, children who have participated in the program are kinder, more cooperative, and inclusive of others and are less likely to bully (a common problem in contemporary schools), compared to children who don't participate in the program. The ethic here? The ethic here is that the heart is the true center of human life. As I said, love as an answer to healing humanity's problems isn't a new concept—it's just an irrefutable law that says we need to take the neighbor we are sent and love him/her. As George MacDonald, the mentor of C.S. Lewis, says: "We mope and mow, striking sparks, and rubbing phosphorescences out of the walls, and blowing our own breath in our own nostrils instead of issuing it to the fair sunlight of God, the sweet winds of the universe..."
I don't often publish excerpts from sermons or belabor the idea of love as a burning fire that cleanses and reconciles, but the podcast I heard caused a lot of musing about "this funny thing called love." And the speaker's ideas advocating a respect for our neighbor seem to be a part of every major enduring religion and ethical system—a system that calls for its followers to develop integrity, accountability, responsibility, steadfastness, fairness, and loving service. Our unity is as important as our individuality. A SITE ON "THE RETURN LIST"
When I return to New Iberia, Louisiana every year following a sojourn on The Mountain in Sewanee, Tennessee, I usually have a mental list of places I want to re-visit while I'm in Cajun country. Yesterday, after I received the news about a friend's daughter being seriously injured in an automobile accident, I thought immediately about St. Martin de Tours Church in St. Martinville, Louisiana, a few miles down the road from me. Although I'm not Roman Catholic, I've made many short pilgrimages to the beautiful, historic church on the Square to light candles for family and loved ones. I'm always consoled while sitting in a pew of the old church, and when I return home I find that small miracles have occurred. One of the oldest Roman Catholic churches in the U.S. and the third oldest in Louisiana, St. Martin de Tours was established in 1765 when Acadian exiles who had been driven out of their homes in Nova Scotia landed in Acadiana. A Capuchin missionary priest named Jean Francois helped establish the church and by 1814, it had become incorporated. The church that stands on the Square today was built by lottery funds in 1836 and dedicated in 1844. As I said, I'm not Roman Catholic, but I like to think that when I sit in one of the church pews, I'm sitting near one of my ancestors, an Acadian exile named Pierre Vincent who must have been a member of the predominantly Roman Catholic congregation at St. Martin de Tours. Inside St. Martin de Tours are gated pews, remnants of a time when congregants were assigned pews according to their donations to the church. 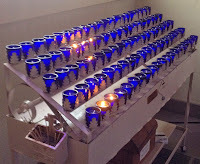 Crystal chandeliers hang from the ceiling, and a blue ceiling with stars overhangs the altar. The space inside is large and has the ambience of a country church, and brilliant light fills the interior. For me, it is one of those "thin places," so designated because the space between God and the people is thin... and the connection with God is easily made. I've been in a few thin places and experienced this connectedness—near the red buttes of Sedona, Arizona; at St. Mary's Convent church on the bluff at Sewanee, Tennessee; in a small church named Church of the Holy Spirit in Graham, Texas; and in the Garden of Evangelism in Tehran, Iran. On my bucket list of thin places is the Isle of Iona as I've read and heard that it is the thinnest of thin places where spiritual experiences frequently occur. 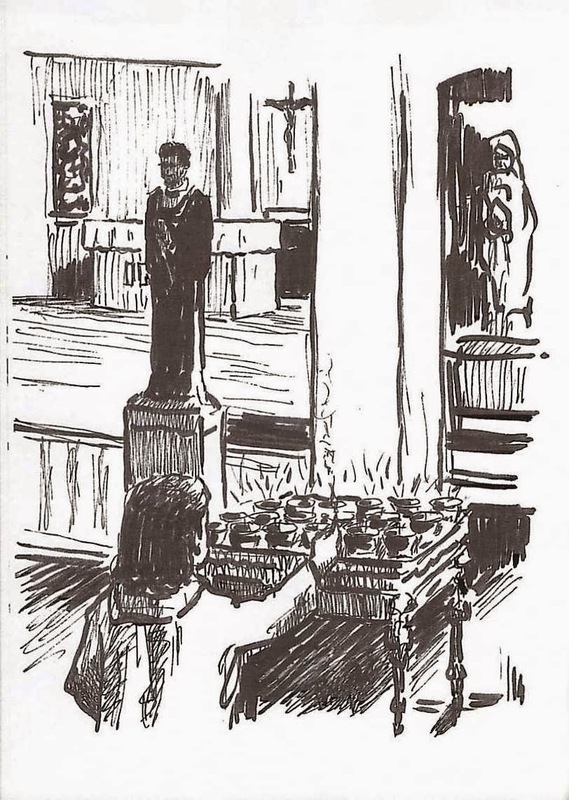 St. Martin de Tours is mentioned several times in my young adult book, Martin's Quest, and a pencil drawing by Billy Ledet depicts Martin, the hero of the story who is a traiteur, lighting candles in the old church. Martin's grandmother explains to him that the Church "is only against traiteurs trying to cure someone if they leave God out. When the prayers are said, God isn't left out. The Church today believes in the gift of healing, just as in Jesus' day. But the priests don't like superstitious practices," she added. I have lit many candles in the small blue crystal holders on a stand near the side door by the gray-walled Grotto at the left of the altar. The Grotto is a copy of the famous Grotto at Lourdes in France where miracles still occur and was created of mud and green moss by a black man named Paul Martinez. On my return trip to St. Martin de Tours, I'll petition for the complete recovery of my daughter and for the healing of the young woman who was seriously injured in the auto accident. For those who wish to add your petitions, the names are Stephanie and Glenae. Porches, large and small, are healing places. 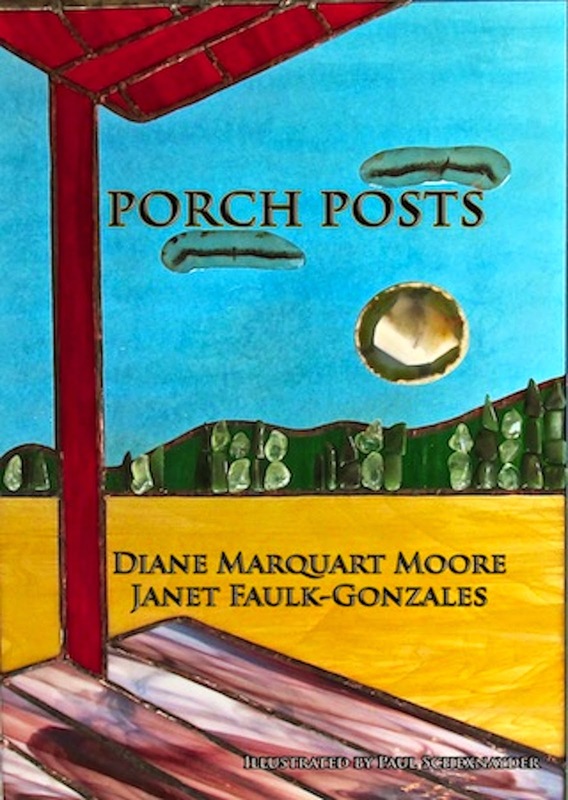 I have been an advocate of their use for many years, and this year Janet Faulk-Gonzales and I published a book about the virtues of these places in a book entitled Porch Posts: Memoirs of Porch Sitters. Recently, I was called home to New Iberia from my spring/summer stay in Sewanee, Tennessee because my daughter Stephanie had to undergo serious surgery. Following her discharge, I returned to Tennessee but was called back to Louisiana because she wasn't recovering well. The past two weeks have been tense ones, but Stephanie continues to improve daily. During the worst of part of her recovery, I retreated to the glass porch on one side of my home and sat, sunning and meditating "in the passive life that goes on in the porch world," as I wrote in Porch Posts, and I felt myself recovering enough moxy to deal with the problem of my daughter's illness. I also re-read several essays from Porch Posts and decided to share one that I wrote regarding the glass porch that both Janet and I call "the healing porch." The essay is entitled "The Place of Oaxaca Breakfasts:"
"Of all the porches I've enjoyed, the sun porch in my New Iberia, Louisiana home ranks first among favorites. It's a diminutive glass and aluminum structure adjoining the dining room and has been, variously, a breakfast room, a writing room, and a sitting room. Seasonally, a bed of pansies or marigolds, bordered by giant elephant ears, grows alongside it, and at one time a vigorous sago palm dominated the flower bed before we cut it down because it was beginning to overtake the house. "The New Iberia sun porch is a three-season porch, unused in summer because the Louisiana heat makes it uninhabitable. Even with an air conditioning vent that allows a small gust of cool air to enter and a ceiling fan whirling overhead, it becomes a steam bath from May - early October. However, it's a curative salon and is often used to heal physical and emotional ills like seasonal affective disorder, insomnia, winter colds, and arthritic pains. We diurnal creatures crave Apollo's bright face, and the glass porch allows salutary rays to beam through on most days when my friends and I are porch sitting. "The porch has been a place of friendship and shared meals, especially "Oaxaca breakfasts," a name given to hours of intimate conversations, literary discussions, and the heightened consciousness that two friends and I felt when visiting Oaxaca, Mexico several years ago. As C.S. Lewis once wrote about friendship, the porch has the ambience of a "luminous, tranquil...world," a place where friends "see the same truth" while conversing, arguing, and amusing each other. It's a site where equals meet and sit side by side, absorbed in mutual interests. "As a healing spot, the porch has also been a haven for friends who faced the grief of divorce, broken relationships, and family deaths. Like its transparent glass walls, it suggests the fragility of emotional crises. 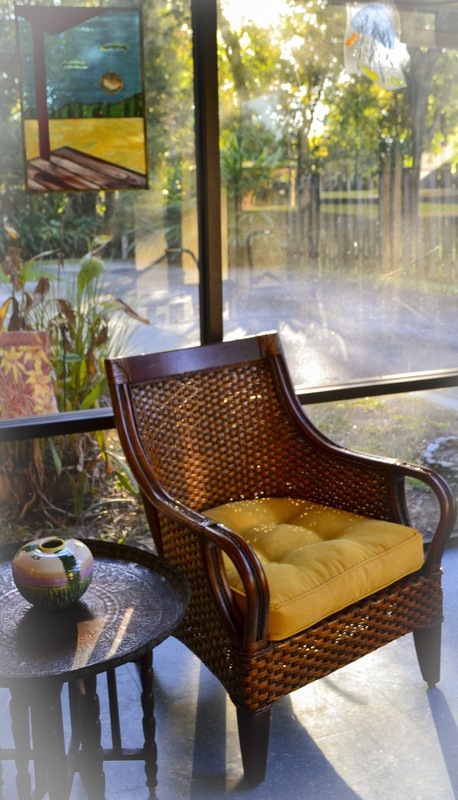 "One spring, my son-in-law Brad painted the wrought iron trim of a glass-topped table and matching chairs on the porch a brilliant yellow hue, an evocative color that suggested happiness was always nearby for those who come to sit and talk about their problems. When I had to give up the table and chairs to furnish an apartment next door, my daughter Stephanie replaced the dining set with a comfortable lounging chair. The chair she and Brad brought in as a Christmas gift has soft gold cushions, and I believe she chose this color reminiscent of the sun because she knew I wanted to keep the aura of joy that surrounds this favored space." If you enjoyed this essay, there are other "healing spaces" mentioned in Porch Posts that may give you some insights into the restorative powers of porch sitting. Porch Posts is available online at Amazon in paperback and Kindle formats.